For more than twenty-five years now, this faithful, close-knit team of musicians and singers has been involved in artistic ventures of a constantly innovative nature, with the regular participation of actors and dancers. Since it was founded, Doulce Mémoire has appeared at national theatres, opera houses and festivals all over France, as well as in many major cities abroad (Brussels, Rome, Riga, New York, Mexico City, Brasilia …). Doulce Mémoire has established some fine artistic and personal relationships in the course of its travels: with the Hang Tang Yuefu Music and Dance Ensemble of Taiwan, for example, the fado singer Antonio Zambujo, the Iranian singer Taghi Akhbari, and the Turkish ney player Kudsi Ergüner. Through its concerts and shows, Doulce Mémoire enables audiences to discover the music that could have been heard by great men of the Renaissance such as Leonardo da Vinci, Michelangelo, Rabelais, François I and others, some of whom left their mark on the Loire valley and some of its fine Renaissance châteaux. 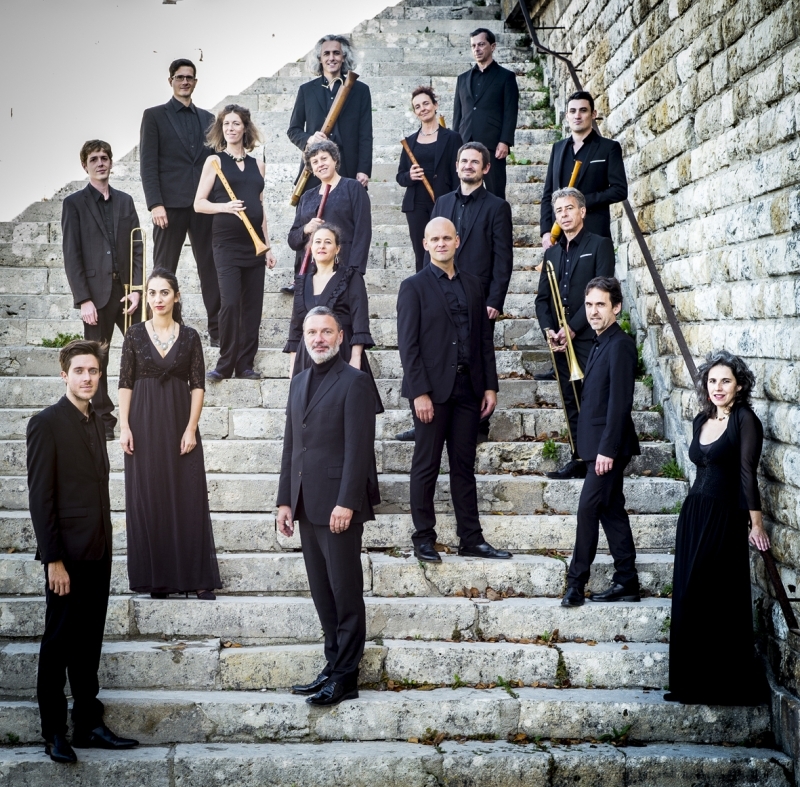 For the past fifteen years the ensemble has been particularly active in Centre Region of France, with which it has developed a privileged relationship. Amongst other events, Doulce Mémoire organises Le Droict Chemin de Musique, an academy for young professional singers, launched in 2003 and held in the wonderful setting of the royal château at Chambord. Doulce Mémoire records for Zig-Zag Territoires, Naïve, Ricercar and le Printemps des Arts de Monte-Carlo, and regularly receives top ratings in the specialised music press. The ensemble has taken part in several documentaries for the cultural TV channel Arte.